I think I took a decent break in the month October and now all geared up for the upcoming holiday season. In the coming days, I will be sharing some exciting seasonal and holiday recipes that are perfect for any parties and potlucks. The November month blogging marathon themes were so excellent and were aligned well with my planned recipes too. And I couldn’t say no. 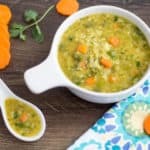 So I am starting the first week with the Thanksgiving recipes. I love Brussels sprouts, and I call them mini cabbages. 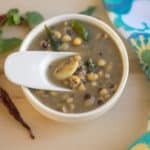 I have already posted two Indian recipes with it – the kootu and the paratha. 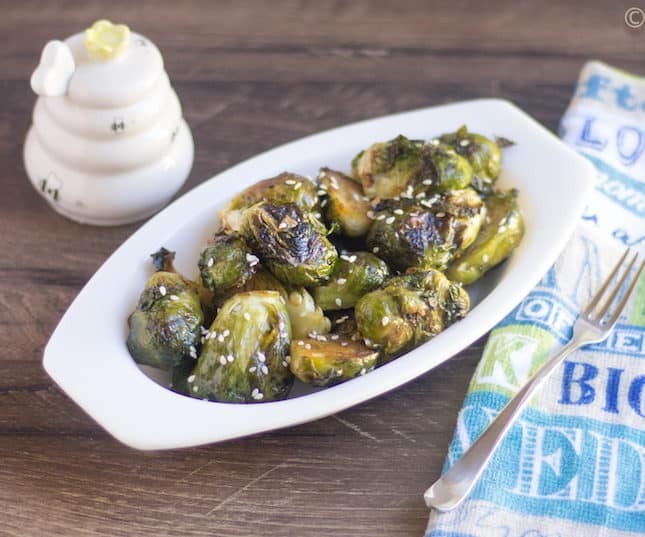 Today I am going to share the simplest of all – just roasted Brussel sprouts with the hint of honey and balsamic vinegar. All you have to do is chop the Brussel sprouts into halves, drizzle some olive oil. Bake and sprinkle the other condiments and serve. That’s it. It is pretty much similar to my Baked Asparagus recipe. I was just contemplating about the oven temperature. I baked the asparagus at 400 deg F for 27 minutes flipping halfway through. But for this, I wanted to increase the heat and also wanted even browning. That’s when I landed upon this recipe, and I decided to go with their baking time. It just turned out perfect. Also, for this recipe, I used the balsamic vinegar that I received at IFBC – The original balsamic vinegar of Modena. I just added 1 tbsp, but the amount of flavor it infused was just incredible. 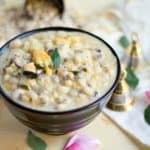 Before getting into the recipe, please find the other similar recipes from my archives. 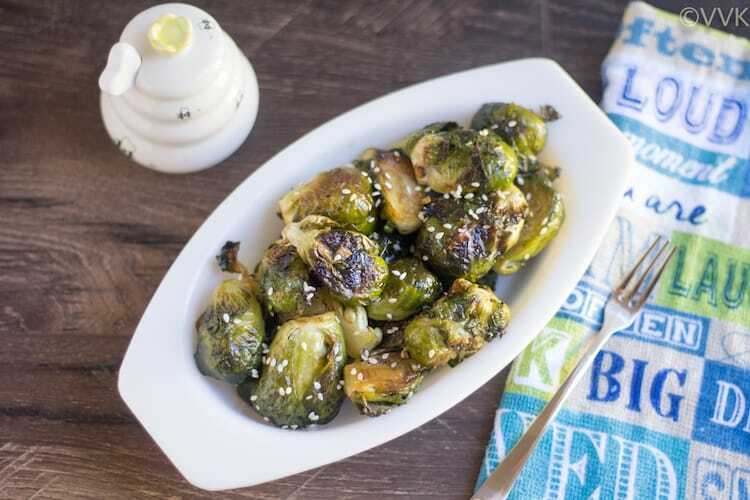 Delicious Roasted Brussel Sprouts with honey and Balsamic Vinegar with a generous drizzle of sesame seeds – A perfect vegetarian side for any party. Wash the Brussel sprouts and pat them dry. If required (if it’s yellowish or if it has spots) remove the outer layer. If needed, roast the sesame seeds. 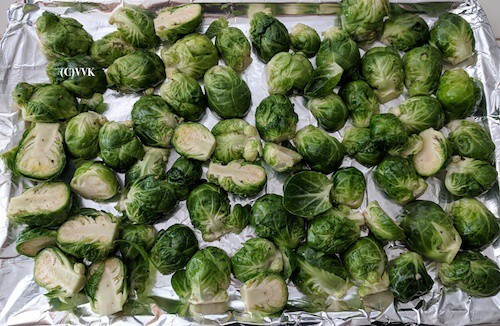 Pre-heat the oven to 425 deg F / 218 deg C.
Take the Brussel sprouts in a large mixing bowl. Add the oil, salt, and pepper. Toss them nicely and ensure you have coated the oil evenly. Line them on the baking tray. Bake them at 425 deg F for 20 minutes, flipping them for every 5 minutes to ensure even browning. Let it cool for 5 minutes and now add the balsamic vinegar and honey and mix them well. Sprinkle the sesame seeds before serving. Instead of adding the balsamic vinegar, in the end, you can add them after 15 minutes of baking too. Adjust the condiments as per your preference. You can bake for additional 5 minutes for crunchier Brussel sprouts. 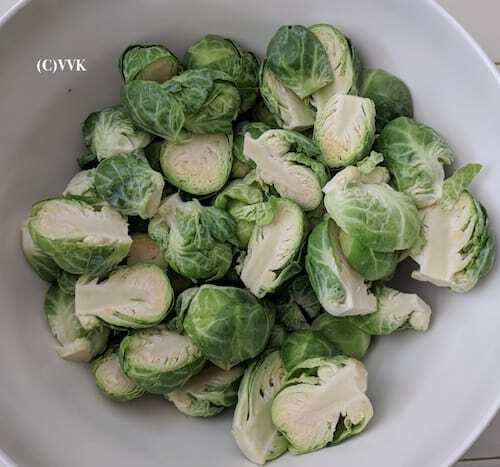 This yield soft and tender Brussel sprouts. 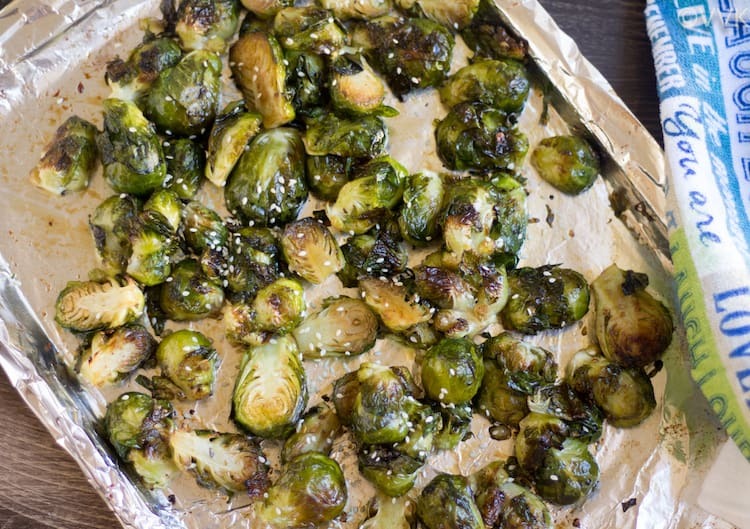 Delicious Roasted Brussel Sprouts with honey and Balsamic Vinegar with a generous drizzle of sesame seeds - A perfect vegetarian side for any party. 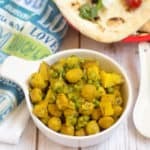 I am definitely going to try this Sri.. is it ok to do it in stove top too? 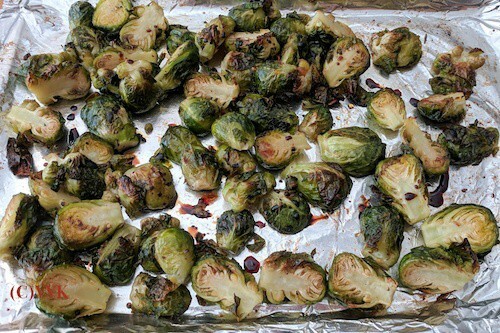 I love oven roasted veggies and these are simply tempting. My kids love these. I remember we grilled brussel sprouts couple summers back with the same ingredients. It was a great crowd pleaser! oh agree. It’s a great crowd pleaser. ahhh… I know how that feels. Hope you find it soon. This is my favorite way to eat Brussels sprouts. My kids would eat these by bowls. I have ths post in my draft and I am yet to post it. Looks so tempting! :-) Waiting for your post now. Oh yeah. I love balsamic too. 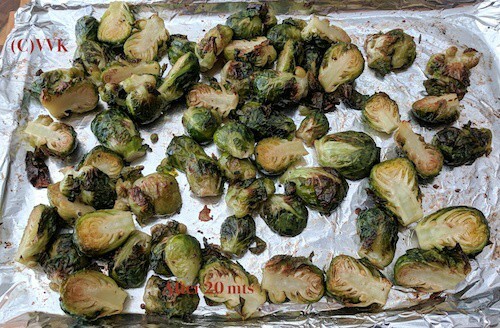 Tried couple of dishes with brussels sprouts, but never roasted them this way, sounds interesting and prefect to sneak this healthy vegetable this way. Whenever out of country , I enjoy these Brussel sprouts , simply made they taste heavenly. Oh yeah agree. Simple is the best. We love Brussels Sprouts in our family. Never tried adding honey, balsamic and sesame seeds — will have to try this recipe next. 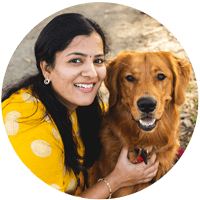 :-) Thanks Pavani, please do try and let me know how you liked it. 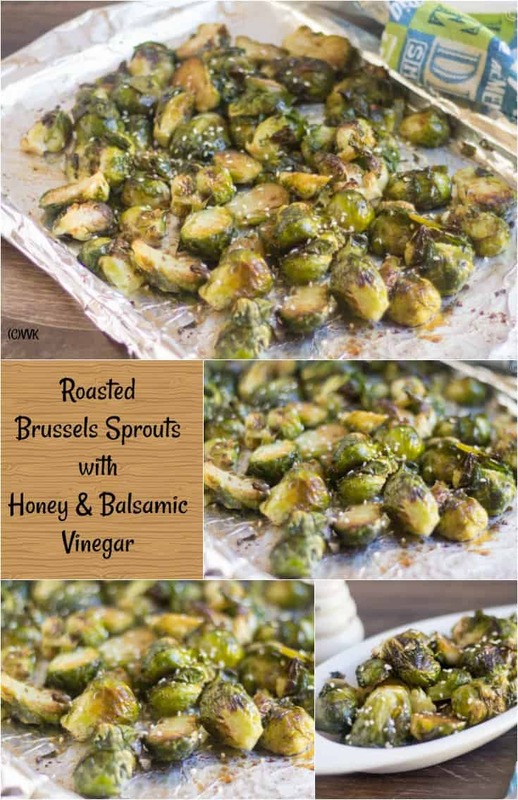 Roasted brussels sprouts looks very delicious with balsamic vinegar dressing. Wow! These Brussel sprouts look so cute. Alas! We don’t get it here so I’ll have to satisfy me by looking at your dish a and drool.?? oopppsss sorry. :-) I wish you could get it there. 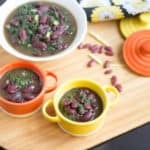 Such a easy yet delicious dish with these beauties. Wish I can get them off the screen. :-) :-) Glad you all liked it.